Evergreen shrub. 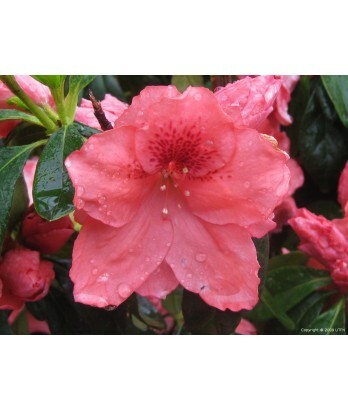 Low spread azalea with attractive, compact, green leaves. Profuse blooms in spring are intense red to orange. Happiest with morning sun and filtered afternoon sun. Regular water needs in well-drained soil once established.